What kind of care needs count in NHS Continuing Healthcare? Are Continuing Healthcare National Framework guidelines the same as the law? How can NHS Continuing Healthcare assessments be fair with so many conflicts of interest in the process? The ongoing conflicts of interest in NHS Continuing Healthcare can involve stakeholders at every stage of the process, for example care homes, assessors, budget holders, hospital discharge teams, etc. This is compounded by the woeful lack of training and knowledge about NHS Continuing Healthcare on the part of many people working ‘in the system’ – something that becomes very apparent to many families who have relatives being assessed for the funding. 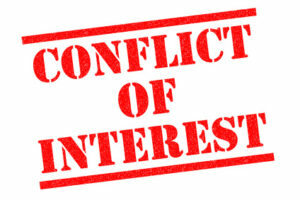 Ongoing conflicts of interest means that families are often misinformed and misdirected. This in turn puts many families off pursuing the funding right at the start, and can also (falsely) lead families to think they don’t have a case to appeal. It’s important to remember that, no matter how nice, friendly and/or helpful someone ‘in the system’ may seem, they will almost certainly have their own particular priorities or agenda in all this – and it may not be to the benefit of your relative. That’s why it’s vital to be as well-informed as possible in advance of any NHS Continuing Healthcare assessment, and to pick up on every little thing you believe to be incorrect. Tip no. 14: Are Continuing Healthcare National Framework guidelines the same as the law? Tip no. 16: What kind of care needs count in NHS Continuing Healthcare? Fighting a Continuing Healthcare funding battle alone can feel daunting. If you need to talk to someone about your case, read more here.